This week, the gents celebrate the coming of the fall season over a Dad Juice as Micah describes his recent visit to the brand new east-coast facility of Sierra Nevada Brewing Company. Then getting right to the news, wild fires rage in Northern California that are roughly five-times the size of Manhattan Island… a suspect is in custody, and being held on a $10 million bail for “maliciously” starting the blaze. Elsewhere, a terror threat is brewing, and to show how close to home it may have been, Australian authorities numbering more than 800 men fought to stop a two man terror plot today in Australia, where Islamic State representatives were believed to have been planning horrific, public beheadings. Meanwhile, a new video appearing online depicts captured British journalist John Cantlie, who has offered some rather… unique... perspectives on the situation with ISIL. Micah and Chris give their immediate breakdown of the video, and speculate about the implications. 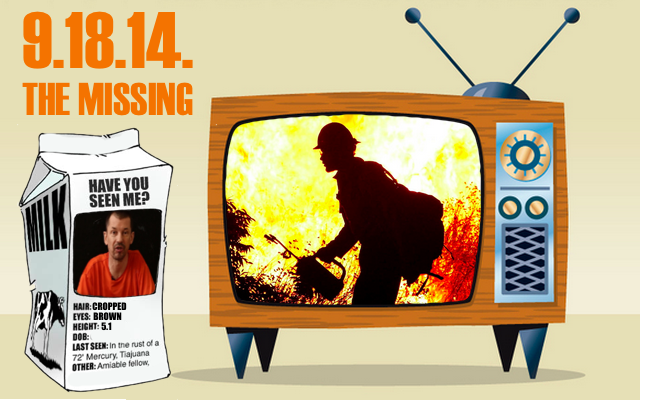 Is this coercion, propaganda, or the most bizarre “public relations” campaign we’ve ever seen? Additionally, there are more reports on these bogus “cell phone towers” that trick your phone into connecting to their network, allowing easy access to surveillance of the general populace. Elsewhere, our latest ebola updates indicate that the virus-related deaths have doubled in the last month, as reported by the New York Times. Then we take things into the twilight realm of the unsettling, as we examine reports of strange disappearances that have occurred for centuries, where individuals seem to have simply walked off the face of planet Earth, never to be seen again. Where do they go, and are there more sinister forces at work here? Among cases examined are Australian Prime Minister who disappeared, as well as an earlier case where three children vanished from a beach in mid afternoon. Then we bring the discussion to the States with Judge Crater’s mysterious disappearance from the Big Apple, and then the mysterious vanishing acts of Andrew Carnegie Whitfield, Michael Rockefeller, and finally, Dennis Lloyd Martin, a young boy who vanished under very eerie circumstances in 1969 only an hour from the headquarters of The World’s Most Secret Society. 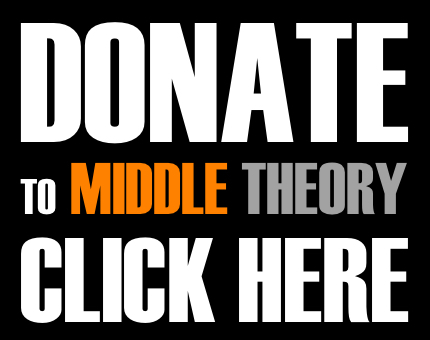 Join us online by following Middle Theory on Twitter, and also Like Us on Facebook. Got questions? We’ve got answers… email us directly at info@middletheory.com. And finally, you can help us out by sharing this with your friends… spread the good word from the middle ground! We’ve made it easy… just use the social media buttons below. This entry was posted in Podcasts and tagged Adrian Peterson, California fire, ebola, John Cantlie, Middle Theory, missing person, Vladimir Putin by Micah Hanks. Bookmark the permalink.